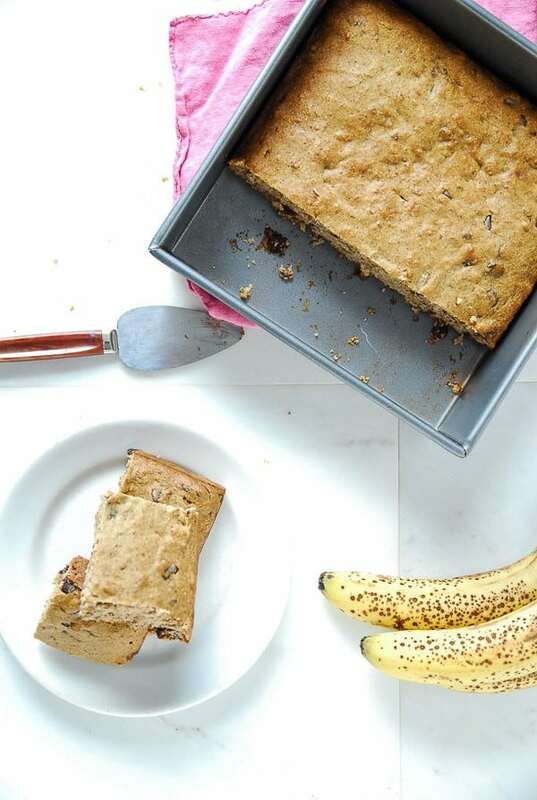 Really, this is just a fancy way of saying ‘I made you banana bread with chocolate chips, but we are going to deem it snack cake’, cool? As I’ve said before, I’ve been working my way through my grandmother’s recipe book and this became a riff off of her date chocolate chip cake. My dates were starting to get a bit shriveled and dry, so the soak in hot water was essential, but if yours are still soft, you could probably skip that step. When I initially made this, I was really nervous about how it was going to turn out. I was getting frustrated with how the batter was looking, so I ended up free handing a lot of the ingredients and am glad my brain happened to catch them long enough for me to write out the recipe! I wanted to slather these pieces of banana cake in a thick, cream cheese icing, but I’m saving that for another cake later in the week. Here’s to better late than never on a Monday and to having cake for a snack! 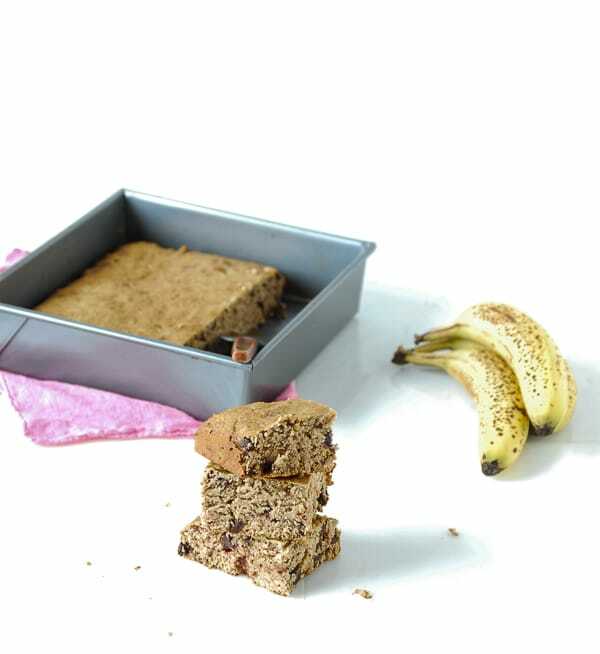 Banana cake and chocolate chips make for a perfect snack cake, for breakfast or anytime! Preheat oven to 350 degrees F. Grease an 8×8 or 9×9 square pan and set aside. In a small bowl, pour the very hot water over the chopped dates and set aside. Let sit for at least 5 minutes, then drain the water off of the dates and reserve them for later. 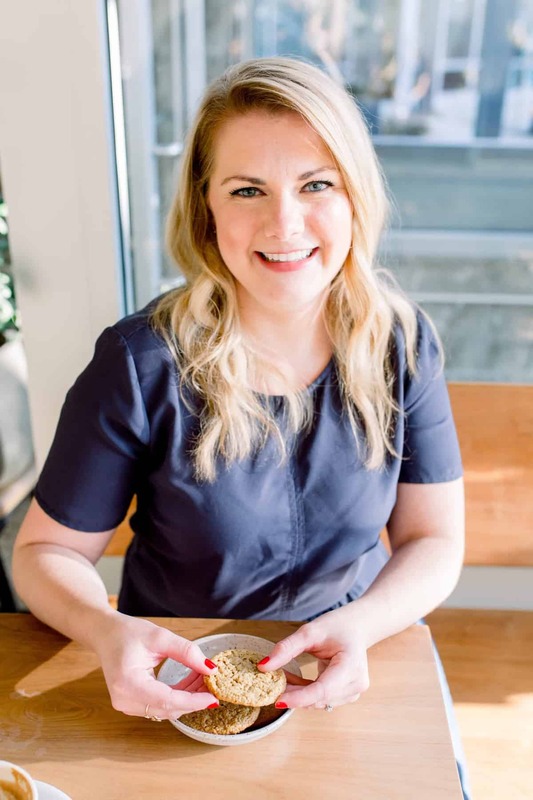 To make the flax ‘egg’: Combine the tablespoon of ground flax seed and 3 tablespoons water in a small ramekin and set aside for at least 2-3 minutes. In a medium bowl, beat together the coconut oil, granulated sugar, powdered sugar, banana, non-dairy milk and vanilla extract. Add the flax egg and beat for another minute, or until all ingredients are combined. Add the flours, baking soda and salt. Beat until mixture is thoroughly combined. Fold in the chocolate chips and chopped dates and pour batter into the greased pan. Bake for 20-30 minutes, or until the cake is golden on top and a tookthpick inserted into the middle of the cake comes out clean. Me too! I’ll always take cake! Haha you can call it whatever you want. It looks delicious. 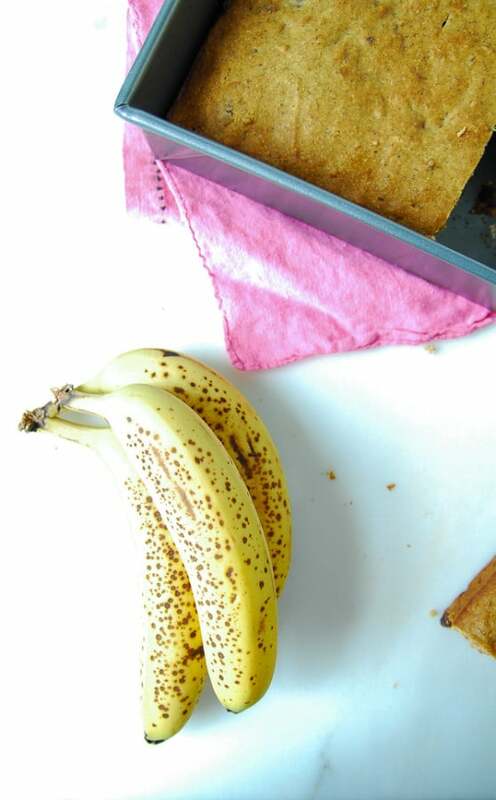 Why can’t banana bread have chocolate chips, anyway? Snack cakes are the best kind!! I love being able to eat piece after piece without feeling bad about making an entire meal out of dessert. 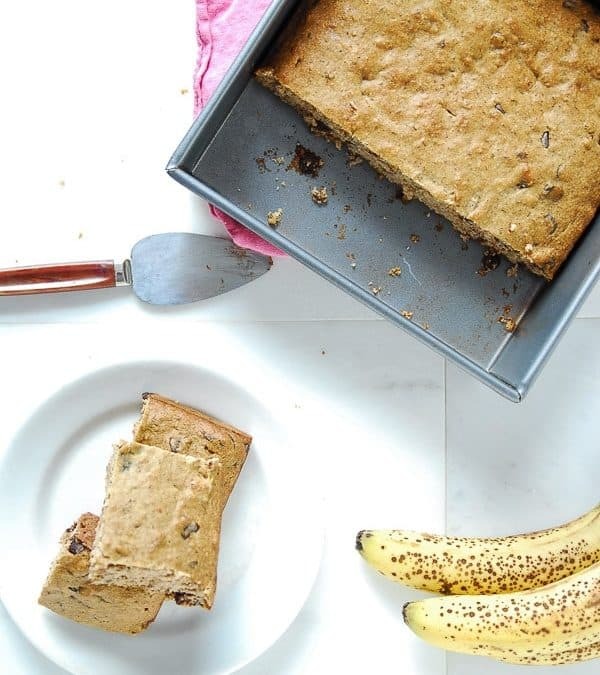 Plus, cake-y banana bread + chocolate chips sound marvelous to me!! Cake, bread or whatever else you want to call it, sounds marvelous! Can’t beat banana’s + chocolate!